Virgin Atlantic has become the first airline to serve non-alcoholic ‘spirits’ after signing an exclusive agreement with Seedlip. Seedlip Spice 94 and Seedlip Grove 42 will now be available on board all Virgin Atlantic flights. The deal follows the “success” of Seedlip cocktails in Virgin Atlantic’s Clubhouse lounges. The Seedlip range, which also includes Seedlip Garden 108, is available in all Clubhouse lounges. A menu of no- and low-alcohol cocktails has been created for Upper Class flights and the lounges as part of Seedlip’s Nolo pop-up. Food and beverage manager for Virgin Atlantic Mark Murphy added: “Virgin Atlantic is always on the lookout for new and exciting ways to bring innovation to our customers. 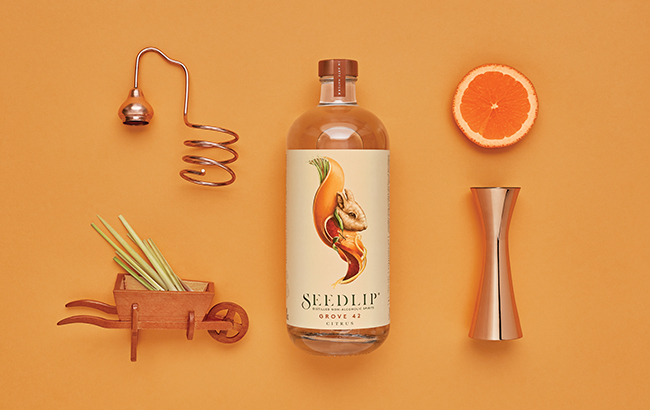 “With the global explosion of the no- and low-alcohol cocktail movement of late we have been keen to find a way to bring it to life for our guests, so teaming up with Seedlip is the perfect partnership. In September this year, Seedlip gained a listing in British supermarket chain Waitrose.